Photo above: Budget analysts brief the House Appropriations Committee Thursday. Gov. Larry Hogan was chastised by delegates for attempting to slip into the budget a grant program for corporations who make private school scholarship donations, essentially bypassing the normal process. “He’s circumventing the policymakers,” said Speaker of the House Michael Busch, a Democrat. The grant is similar to Hogan’s own HB 487, which has been stuck in the Ways and Means committee since early February. “He attempts to make a very complicated 10-page bill into a five sentence provision in the supplemental budget. To me, it’s policymaking through the budget, which we try to avoid,” said Del. Brooke Lierman, D-Baltimore City, after the House Appropriations committee received a briefing. Hogan’s original bill, the Maryland Education Credit, created a state income tax credit of 60% for businesses donating to nonprofit organizations that aided student scholarship funds for public or private schools. In the budget, it has several major changes: it is now a grant instead of a tax credit, is funded through the cigarette restitution fund instead of the general fund, and excludes public schools. Washington is concerned over the way the proposal has evolved to exclude public schools. The Maryland State Education Association (MSEA) also feels the switch to offering scholarship funding to only private schools is unfair. “His bill left open the idea that this fund would be used for public schools, but this supplemental budget slams that door,” said Sean Johnson, assistant director of public affairs at MSEA. Hogan’s proposal requires that the organizations offer priority assistance to students that qualify for federal free or reduced meals, a low-income program. Another change in the language of the bill is instead of receiving up to a 60% tax-credit, donating corporations will receive a grant of up to 50% of their contribution. Businesses that make donations to schools are already eligible for a tax deduction at the end of the year. Lierman believes corporations will be getting “two bites of the apple” if the supplemental budget passes. Delegates, along with MSEA, are also concerned about the Department of Business and Economic Development (DBED) administering the program. “Why DBED, if this ultimately is a scholarship program?” asked Appropriations Chair Maggie McIntosh, D-Baltimore City. DBED usually handles tax credits and Washington questioned why the budget contains no guidelines to require the “most knowledgeable” authority on scholarships to administer the program. “There’s no oversight of these newly created student assistant organizations,” said Washington. The budget proposal would involve the Maryland State Department of Education by funneling the donations through its Non-Public Schools Program for Textbooks and Computer Hardware and Software, but DBED will be primarily responsible for the grants. With the switch of the $5 million in funding to the cigarette restitution fund, the Department of Legislative Services (DLS) raised concerns that spending cuts would need to be made elsewhere. CORRECTED 4/3/2015, 8:30 a.m.The fund, from the long-ago settlement with the cigarette makers, only contains $500,000. However, based off of the original bill, business proponents see the grant as an incentive for more big-business investment in Maryland. During his testimony at the HB 487 hearing, Carville Collins, a lawyer with DLA Piper who represents “corporations in Maryland or corporations considering relocating to Maryland,” stated that his clients are already investing in schools and the governor’s program would incentivize more investment. Collins worries that our neighbors are ahead of the curve when it comes to school investing, effectively “isolating Maryland” from surrounding states. “They see that our economic competitors in Virginia and Pennsylvania have mature, effective programs,” said Collins. According to Johnson, Pennsylvania’s similar program started out with $10 to $12 million dedicated to grant programs and has now grown to $80 million, being staffed by two employees. Hogan stated in a press release Thursday that he is open to working with the conference committee, which is made up of legislators from both the House and Senate who are currently working on the original budget. Appropriation will work on the supplemental budget and recommendations, then it will be up to the conference committee to amend those recommendations into the final budget. 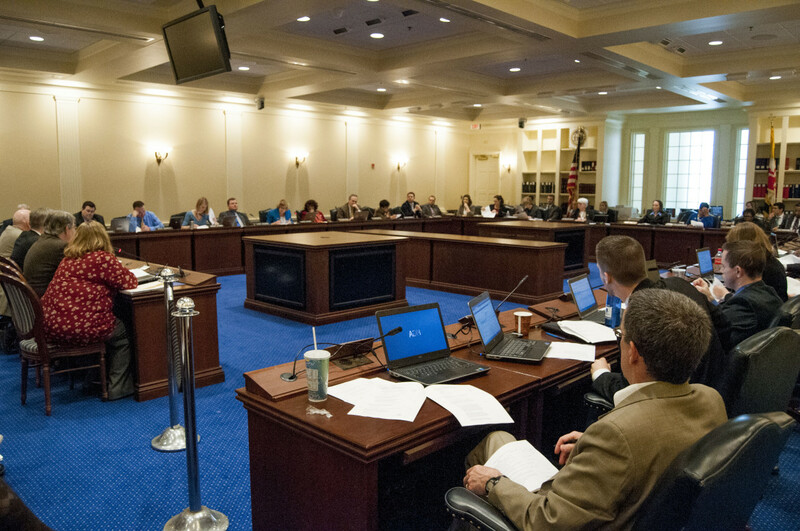 “We still have much more to do, but as we draw closer to the end of the legislative session, I look forward to working with the conference committee to reach a final budget that addresses the concerns of all hardworking Marylanders,” said Hogan.